A day after the results of Bihar’s plus two examination were announced in which 64 percent of students failed, agitated examinees on Wednesday protested outside the Council office in Patna against poor pass percentage. A large number of students gathered outside the Inter Council office to protest unsatisfactory results. A few of them also tried to climb the main gate but were prevented by police. But Nitish Kumar is unfazed by the poor results. In fact he has been portraying it in a positive way. 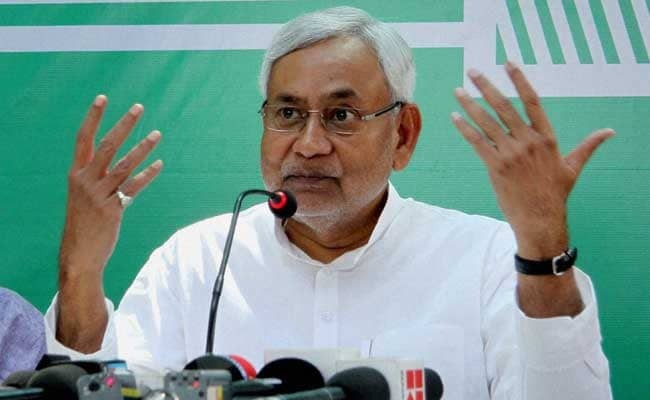 According to Nitish, the poor board results mean that government has been able to stop cheating on a large scale which is good for the future. Students were not able to cheat in the exams and that’s the reason they failed.